Communism is a type of government and philosophy. Its goal is to form a society where everything is shared equally. All people are treated equally and there is little private ownership. In a communist government, the government owns and controls most everything including property, means of production, education, transportation, and agriculture. Karl Marx is considered the Father of Communism. Marx was a German philosopher and economist who wrote about his ideas in a book called the Communist Manifesto in 1848. His communist theories have also become known as Marxism. 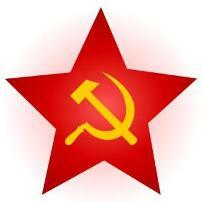 Communism began in Russia with the rise of the Bolshevik Party led by Vladimir Lenin. They led the 1917 October Revolution that overthrew the current government and took power. Lenin was a follower of Marxist philosophies. His views on government became known as Marxism-Leninism. Russia became known as the Soviet Union. In World War II Russia sided with the Allied Powers in order to help defeat Germany and Adolf Hitler. However, after the war the Soviet Union took control of several countries in Eastern Europe. They became known as the Eastern Bloc. The Soviet Union became one of the world's two superpowers along with the United States. For many years they fought the west in what is today called the Cold War. Another major country to be ruled by a communist government is China. The Communist Party gained control after winning the Chinese Civil War. The communists took over mainland China in 1950. Mao Zedong was the leader of communist China for many years. The type of communism in China at the time is often called Maoism. It was also heavily based off of Marxism. The actual results of communist governments have been nothing like the theories of Marxism. The low class people that were supposed to be helped by Marxism, were treated horribly by the leaders of the government. For example, it is estimated that Soviet Union leader Joseph Stalin had over 40 million people murdered for the "good of the state". Stalin created labor camps for anyone who disagreed with the government. He even created famines in order to break the will of the people and gain total control. Communist states generally have much less freedom. They prevent the practice of religion, order certain people to work certain jobs, and prevent people from moving around or moving to other countries. People lose all rights to ownership and government officials become incredibly powerful. Many concepts of communism were included in Greek philosopher Plato's Republic. Other communist countries include Cuba, Vietnam, North Korea, and Laos. The Chinese government has been under fire for years for human rights violations. This included many executions, detaining prisoners without trial, and wide ranging censorship. In the era when Mao Zedong ruled China the poverty rate was at 53%. However, China began economic reforms moving away from communism in 1978 under the leadership of Deng Xiaoping. The poverty rate was down to 6% in 2001.